Ask a question about 1055 Bogey Ln, or schedule a tour. 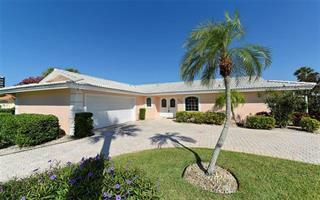 Situated on a prime corner location in Country Club Shores, this lovely 3BR plus bonus room home abounds in elaborate Florida-sourced gardens with stone pavered walkways and vine-covered pergolas that surround it, providing the perfect... more. amount of seclusion. 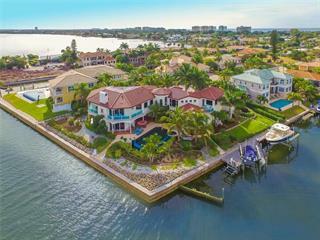 Overlooking tranquil waters that open to Sarasota Bay, this home offers newer roof (2014), Porcelain tile flooring, hand-painted murals, eat-in kitchen with formal and informal dining areas, and walls of expansive windows and sliders equipped with storm shutters. Three spacious bedroom suites are situated in a split plan, each with walk-in closets. The master includes a bonus room that can be a wonderful place for an art studio. The protected patio features a swimming pool (resurfaced in 2012, new filter & pump in 2018), lounging and dining areas. This home is located on deep sailboat waters, with a dock, new seawall cap (2005) and beach access just a short walk away, between Beachplace and the Privateer. 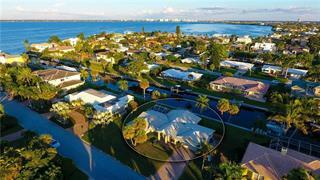 A charming waterfront community of custom-built homes with notable streets of nautical names; Country Club Shores is located on the south end of Longboat Key and consists of five community phases. 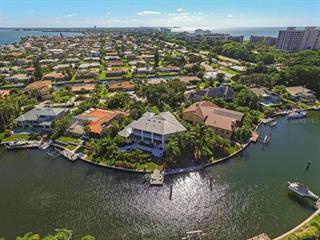 Truly a boater’s dream, this community features sailboat water and is centrally located near the renowned Longboat Key Club’s Islandside and Harbourside amenity-rich facilities. 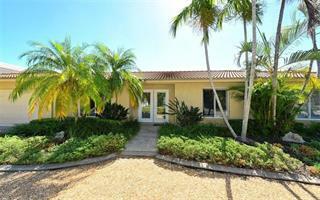 Also, just minutes to St. Armand’s Circle, downtown Sarasota and Longboat Key beaches.